Proud in their ability to keep it attractive and simple, Creda have been producing popular products for over 40 years. Easy to install and operate, Creda electric heaters are maintenance-free, robust and reliable. They offer an unparalleled longevity and maximum convenience for their consumers. Creda’s experience and expertise, honed over decades of production, have helped the brand constantly reinvent their products, evolving alongside the modern fast-paced environment. 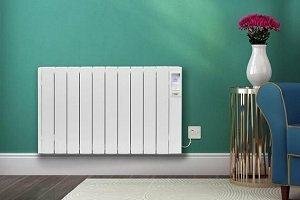 They supply affordable and durable heating to homes, apartments and offices nationwide. Heater Shop offers the brand’s most popular towel rails as well as their panel and storage heaters. Their traditional design is inspired by older models, using the same fixings but employing more modern efficient technology. Their style is universally recognisable, and the simplistic features provide an unassailable ease of use. Creda panel heaters are direct acting heaters – providing heat instantly but only when required. They are 100% efficient and quick to make an impact on the warmth of a room. Creda use high quality materials and elements for improved safety and longevity, including safety limiters and clearly displayed readings. Latest models feature energy saving technologies including open window detection and adaptive start whilst being appropriate for any room and exceptionally practical. Both the TPR and Contour range are quick to warm up and offer very precise regulation of room temperatures. Storage heaters charge at night when the cost of energy is at a lower price, and then store the energy for use through the day. Creda offers a premium slimline design as well as impressive heat distribution through the involvement of an inbuilt noiseless fan. The TSRE range reduces energy wastage through its design and superior components. It features a variety of useful modes including Out All Day and Holiday mode, limiting energy wastage. High standards are enforced, backed up by the two year warranty. 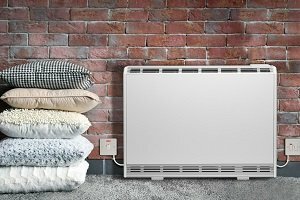 With a range of functions benefitting the user, Creda storage heaters are an excellent energy and cost saving heating alternative. Heater Shop also supplies a range of towel rails, available in either white or chrome. 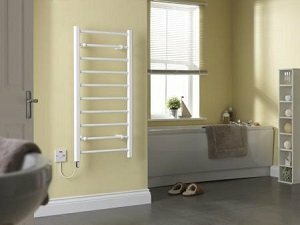 Sporting the traditional ladder design, the rail is ideal for bathrooms and wet rooms, able to heat spaces and keep towels toasty. Creda’s expert manufacturing ensures longevity and performance as the vertically mounted element radiates plenty of warmth. It is very secure and feature a thermal cut out temperature limiter preventing damage from overheating. Affordable and quick to install Creda understand how to tailor their products to the consumer budget whilst sustaining great quality. Invest in Creda electric heaters for effective and affordable heating solutions and Heater Shop will deliver it for free.